When you turn the key to crank the engine, nothing happens. The engine will not turn over. When you turn the key to crank the engine and all you hear is one loud click. The engine will not turn over. Or you turn the key to crank the engine and the engine turns over but very slowly and then stops. The battery might be good and you will know this if; you bought a new one thinking that was the solution to the problem, or you got someone to help you jump start the vehicle to no avail. This is a brief summary of the tests that we’ll be carrying out to get to the bottom of what’s causing a no crank condition on your vehicle. 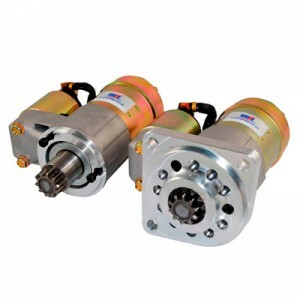 With the tests that we’ll be carrying out you’ll be able to say with absolute certainty it is a bad starter motor or completely eliminate it as the cause of your vehicles problem. Although the tests are fairly simple, if you do them on your own and you find the root of the problem, then all we need to do is fix your problem and everything will be solved much, much quicker. Firstly we test the battery before anything else. As this is a simple multi-meter test. Our trained mechanics will test that the starter motor is receiving 12 volts on the battery circuit. We will test that the starter motor is receiving the start signal from the ignition switch. A voltage drop test for the starter battery and the ground circuits. We will use a jumper-wire or an appropriate tool, apply 12 volts to the start signal wire. Checks will be done to eliminate a locked-up engine or a locked-up A/C compressor. Where necessary we will bench test the starter motor. What does this test consist of. Firstly our engineers will clamp it down onto the working bench, get a battery or a charger and put the earth on the starting body. To test the solenoid we will check the spade terminal or the small nut on the solenoid; it should throw the gear forward (although the motor won’t spin whilst testing). To check the motor, we earth the main body again and quickly strike the large wire connected to the motor body, it will now spark and kick the started round. 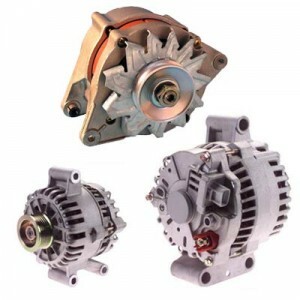 An alternator keeps your vehicle’s battery charged. 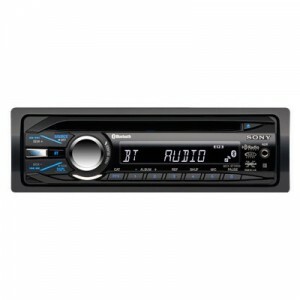 It also provides power to operate your lights and other electronic accessories whilst your car is running. Symptoms of a bad alternator include hard or slow cranking when you try to start your vehicle, lights that seem too dim and of course the red BATT, ALT or GEN light glowing on the dash. But if the lights don’t come on the dash, that doesn’t mean you’re safe, you can have an alternator problem without the lights appearing, because it’s the alternator that makes the lights appear in the first place, so if it’s stopped working then no lights may show. If your car starts and runs, or if the engine turns over normally when you try to start it but it won’t actually run, there is probably nothing wrong with your alternator, starter or battery. Which means your alternator is probably functioning properly. The only exception is if the alternator is overcharging, in other words it’s putting out too much voltage. This can cause malfunctions to the vehicles computer, while the engine is running and causes all sorts of weird problems. An overcharging alternator can boil a battery dry, so if your battery gets low on electrolyte, making you add water to it, or if your car eats batteries, you may have an overcharging alternator. Are you sure it’s the alternator? Bad battery symptoms and bad starter symptoms can be very much like bad alternator symptoms. Make sure it’s the alternator before you come to us for it to be repaired/replaced or you may still have a problem on your hands. A properly operating alternator cannot charge a bad battery and a new fully charged battery can’t spin over a bad starter. The best method of testing a bad alternator is with a voltmeter. Put a voltmeter across the battery whilst the engine is running. Voltage should be 14.2 volts. Any lower than 14 volts or any higher than 14.4 volts could mean an alternator problem. Turn on the lights and the vehicle’s accessories and the voltage should stay up around 13 volts. An idle engine up to 2000 RPM will have the voltage of around 14 or so. (Testing numbers are for 12 volt systems, numbers can be easily determined, depending on what volt system you have). Although, if you voltage goes up to 14.2 volts, then you need no alternator repair. 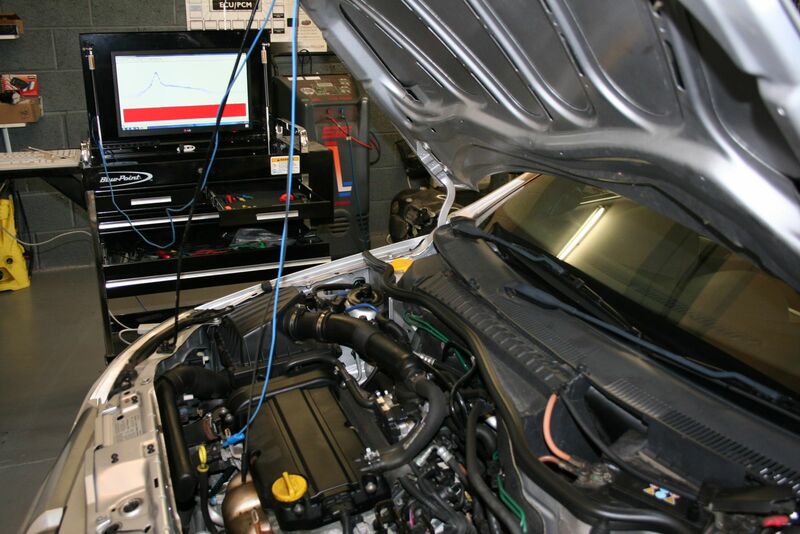 Here at Widnes Autoelectrics, we can test your alternator for you, saving you the time and effort of doing so. Plus if we find a fault with it during our tests, we’ll determine the cause of the fault and will either repair the fault or fit your vehicle with a brand new alternator. To find out more or if you’d like to book your vehicle in for testing and any possible repairs, then please get into contact with us here. When looking for faults in your vehicles wiring, there are hundreds of places to check. Although there is no definitive “how to” for electrical fault finding in vehicles, but faults are the symptoms of the problem you are trying to find. You have to dig a bit deeper than what you can see and ask yourself questions about it. “Is it a minor or major item?” such as a bulb, fuse, radio, starter motor etc. What are the circumstances, was it working last night when you switched it off but not this morning? What’s the weather like? Has it developed the fault after a period of use whilst driving? Or could any secondary action such as moving something under the bonnet or in the engine compartment have upset something? Minor items are things such as bulbs and fuses, although fuses may blow because of something serious. Replace the fuse with a new one, which you know to be in good condition. If the fuse blows again there’s something wrong with the circuit. Don’t put a new fuse in again until you’ve had a go at discovering what the fault is. Fuses are very fragile when they haven’t been used for a while. You switch on and they get heated up by a sudden rush of current higher than they normally take and they’ll blow. If you haven’t got the right equipment to do the above, but you have a lot of fuses lying around, then you could unplug parts of the circuit and replace the fuse again to find the fault, through process of elimination. Bulbs usually won’t blow unless their time is up. As with a fuse they are at their most fragile when cold. A bulb blowing can take a fuse with it but it shouldn’t happen the other way around. One occasion where a bulb might blow that isn’t due to age is if the regulator has gone faulty. If a bulb or a number of bulbs keep needing to be replaced then check the voltage with the engine running, if it’s much over 13.5V you have a problem. Serious items are more or less anything else in the car such as the battery, generator, regulator, relays, wipers, fans etc. 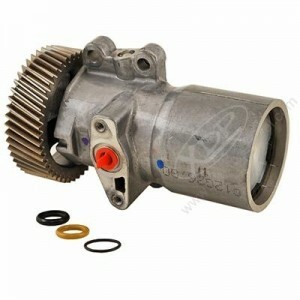 Most of these have a mechanical element to them which can cause the fault (brushes in motors, linkages etc.). 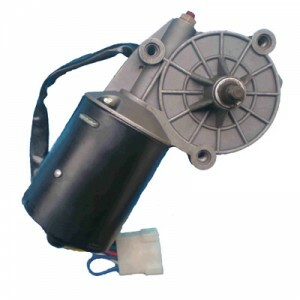 A wipers motor will try manfully to turn the wipers even when the mechanism is getting on for solid. It will draw more and more current until eventually fuses repeatedly blow. If you don’t have the correct tools, knowhow and expertise to do this sort of testing for your vehicle, or you just don’t have the time. Then get into contact with us to see what we can do for you, our friendly, expertly trained and professional mechanics can sort out almost any problem with a vehicle, so you can have it back on the road in no time! To get into contact with us click here. All/most vehicle radios come with anti-theft prevention software built into them. These pieces of software deny the use of the car’s radio if the software thinks it has been maliciously tampered with. Although in many cases the software prevents the radio from working even if the battery has been disconnected from the car or if another piece of work has been done to the care involving its electronics. When this happens and nobody has maliciously tampered with it, it can be very annoying. To overcome this issue, you would need to locate the serial number of your vehicle (usually found on the bottom chassis of the car) or in any documentation that you got when you purchased your car. This code would then be entered into our database and the correct 4 digit pin would appear, once this has been entered into your radio, your car radio will be working again. Although this is a very simple procedure, a lot of mechanics and companies try to milk as much money from you by saying you need to buy a number of different things. Here at Widnes Autoelectrics, we will tell you what you need to do/ what we need to do straight, with no hidden extras. If you have a problem with your vehicles electronics and you don’t know what to do or you don’t have the time to fix them, then you may want to get into contact with us to see what we can do for you and how much for. To get into contact with us for a free quote or to book an appointment please click here. There are many different lights on the inside and the outside of your vehicle and at some point one/some of these may develop a fault. If you are having issues with your headlights, or they have just stopped working completely your car cannot be on the road. Although these can be fixed in 4 steps. Turn on your headlights. Replace whichever headlight bulbs do not turn on. Although the process for replacing a headlight bulb varies by the make and model of your vehicle. 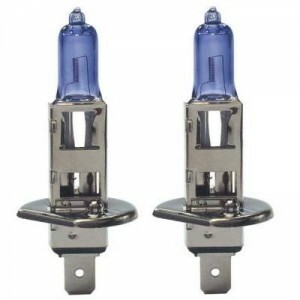 In general remove the bulb: disconnect the wiring harness from the rear of the headlight assembly, disengage the retaining clip and pull out the bulb. Insert the replacement and secure it with the retaining clip, then plug it back into the wiring harness. Test the headlights again. Continue to the next step if the headlights still don’t work. Open the engine compartment fuse box. Pull the fuse that operates the non-functioning headlight circuit. Inspect the fuse for discolouration, replace as it is needed. Then turn on the headlights again. Continue to the next step if still no result. Connect the negative lead of the voltmeter to the negative terminal on the car battery. Then connect the positive lead of the voltmeter to the positive lead of the wiring harness. The positive lead has power coming through it and is usually the red wire. Verify that power is coming through the wiring harness. Replace it if no power is coming through. Turn the headlights on again and they should be on now. Although if you still have no luck, you should continue on to the next step. Disconnect the negative battery cable from the car battery. Then remove the bezel around the steering column of the steering wheel. 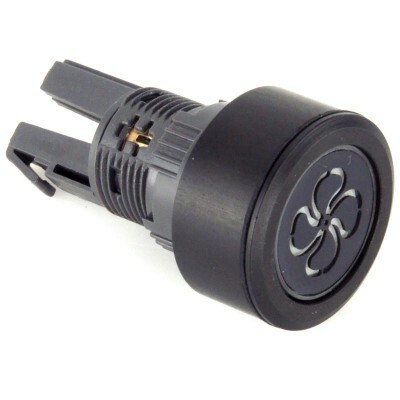 Unplug the wiring block from the back of the headlight switch. 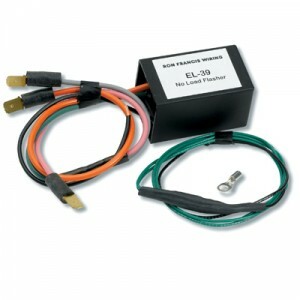 Check whether the contacts on the wiring block or headlight switch are discoloured. Clean them gently with a pencil eraser. Then finally plug back in and turn the headlights on again. If they still don’t work, you may need to replace the headlight switch. You can be flagged by a traffic officer if your car tail lights are broken, so don’t waste anytime fixing them. Read on to learn how you can fix your tail lights. Check the fuse. A blown fuse usually causes both lights to go out. Although a Fuse can be blown due to other problems, so you’ll need to check more than just the fuse, but it’s the right place to start. Look in your owner’s manual to determine where the fuse box is located in your car. It’s usually under the dashboard. The manual will have a labelled picture of the fuse box showing which fuse is which. Making sure the ignition is off, take the cover off the fuse box and locate the tail light fuse. Use a flashlight to inspect the fuse and determine whether it’s blown. If the piece of metal inside the tail light is intact, the fuse is still good. If the piece of metal looks broken or fractured, the fuse has blown and will need replacing. Look at the trailer kit wiring. These are the wires that lead to the tail lights, located inside the lid of the trunk. Open the trunk and take a look. You can see where the wires should connect in order for the electrical system to properly work. If a wire has become loose, then reattach it. Check the tail light bulbs. If the fuse and wiring look right, the bulbs themselves might be the problem. To check them, unscrew the tail light lenses from the outside using a screwdriver. If your lenses don’t have screws, open the boot/trunk so you can access the lights from the inside. Unscrew the bulbs in question and check them the way you would any household bulb; by looking at the thin metal wire inside them to determine if it is still intact. If the bulb is out, you’ll need to replace it. If the bulb is fine, your car may have a deeper electrical problem. If the fuse, tail light wires and the bulb are all in good shape, it’s definitely time to bring your vehicle to us to fix it. Check the tail light lenses. Whether or not you were able to fix the problem of your tail lights working correctly by examining the fuse, wiring and light bulb, it’s important to check the lenses as well to make sure they’re not cracked or broken. Water entering a lens could blow a fuse!